DURING the World War, practically all governments suffered loss of code books which revealed to the enemy the contents of wirelessed messages. And when the enemy did not have the necessary code dictionary, skilled code workers, by diligent search for a key letter or word, could usually decipher almost any message. A new machine, invented by Swedish scientists, is said to be so complicated in its action that it defies solution by a human brain. 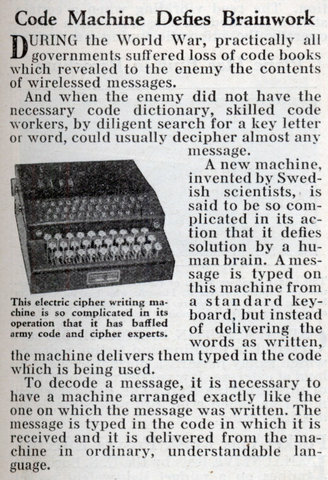 A message is typed on this machine from a standard keyboard, but instead of delivering the words as written, the machine delivers them typed in the code which is being used. 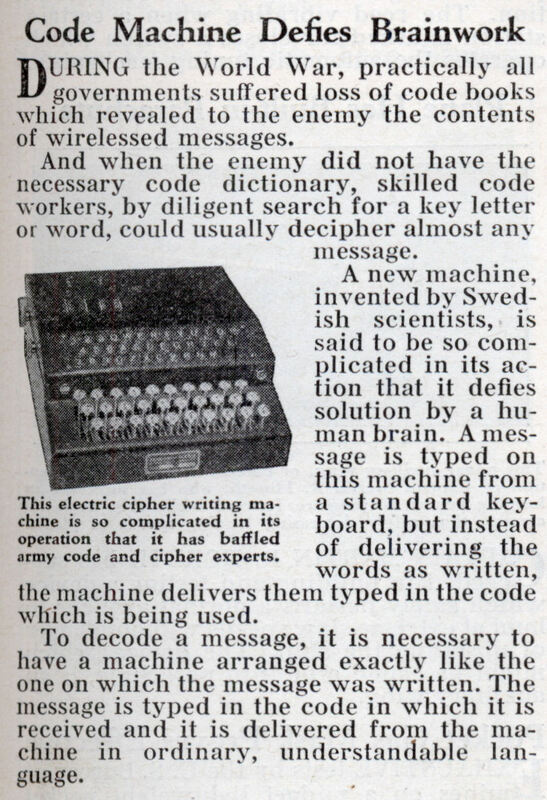 To decode a message, it is necessary to have a machine arranged exactly like the one on which the message was written. The message is typed in the code in which it is received and it is delivered from the machine in ordinary, understandable language. Hellooooo, Enigma! Originally developed for commercial cipher use, if I remember correctly. The programmable electronic computer was developed to break the codes, allowing us to post photos of illiterate cats today. Computer-historians recreating the code breaking machine. Now that’s a verb that has passed out of use: “wirelessed”. And yet Firefox’s spell-checker doesn’t trip up on it. This article came from one published by Scerbius. 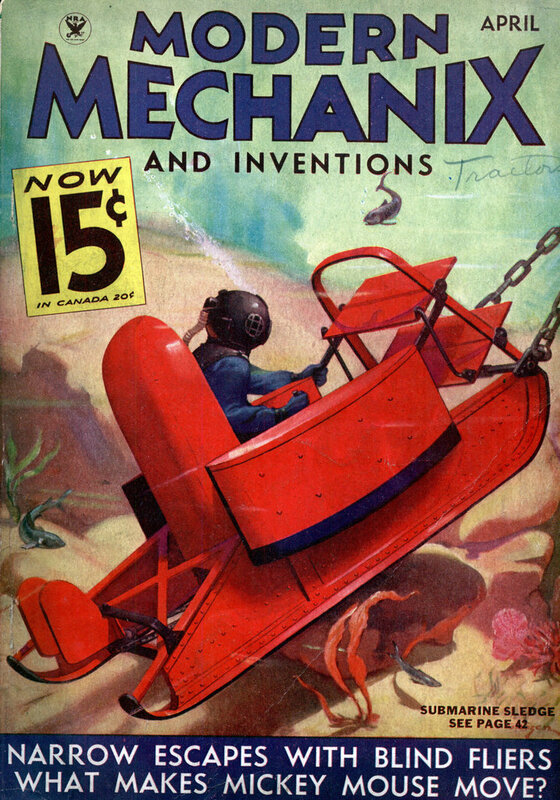 His machine was the foreunner of Enigma. I had a copy of the original article published in Radio News a long time ago. His mecahnical computer took the Brits a long time to replicate . It took a British genius to replicate it.